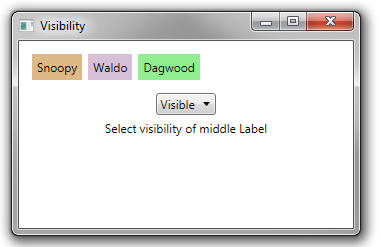 You can set the visibility of any element that inherits from UIElement by settings its Visibility property to one of the three values listed below. 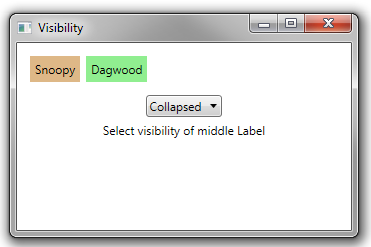 Because every child hosted in a panel derives from UIElement, this is how you hide/show child elements in a panel. 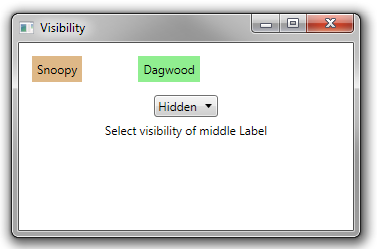 Below is an example that lets a user toggle between the three possible values for the Visibility of the middle Label.